suffering from stress and feeling unwell. Oxygen travels to the four corners of the body, and metabolism increases as marked beautifying effects become apparent. Effective for people with concerns about complexion and feel of the skin, too. 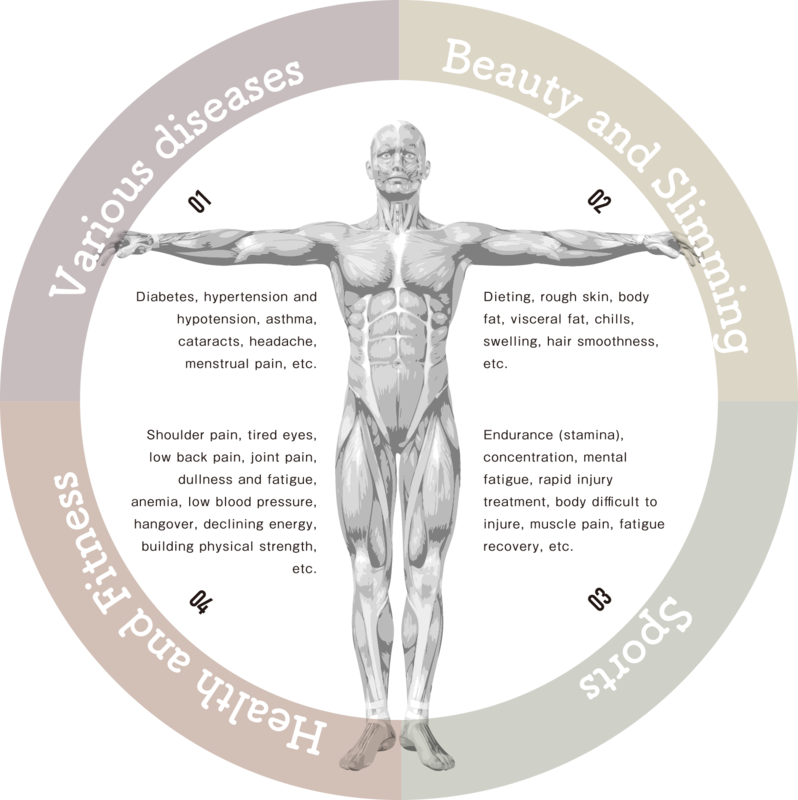 Since enzymes that break down fat are activated, you can also expect slimming and dieting effects when PresShower is used in combination with light exercise and stretching. Harmonization of the autonomic nervous system is the supreme relaxation. When stress tips the autonomic balance, stress increases, leading to decreased concentration, insomnia and depression. 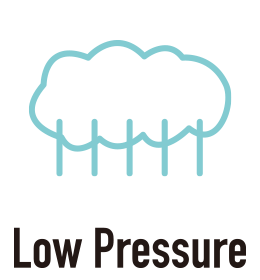 PresShower employs unstressful high pressure to relax the mind and body. Therein lies the secret that makes you want to use it repeatedly. An approach to beautiful skin from the inside of the body. Free from the stress that causes the aging process, you can also expect rejuvenation effects. Restoring inner balance to the body without burdening it prevents the operation of the autonomic nervous system from weakening with age. It leads to not only beautiful skin, of course, but to cellular revitalization of the entire body. 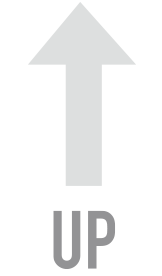 The Small High Pressure SATO Mode developed by Professor Sato is the standard pressure mode installed in PresShower. 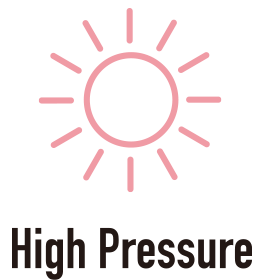 Adjusting the room interior to the high pressure that feels good in fine weather will improve the worsening of chronic pain seen when the weather is poor, and improve dizziness, depression and fatigue and other poor physical conditions (weather pain). For athletes, a top-shelf performance. The story that premier athletes use "oxygen capsules" for efficient fatigue recovery is well-known. So much so that the height of the effect has been treated the same way as doping is. PresShower, by adding high-pressure adjustments, has evolved to a comfort space of even higher performance. Promoting blood flow is the keyword in the treatment of infertility. A major issue in modern society, women who suffer from infertility in advanced maternal age will continue to challenge us. Using PresShower to restore inner balance, women are freed from stress and the effects of promoting blood circulation that high pressure and high oxygen have on pregnant women becomes a great ally. For many modern people, daily stress causes chronic fatigue and lack of exercise overlaps with this to create a chronic state of oxygen insufficiency. This oxygen insufficiency causes disease, aging and a variety of health trouble. The human body is made of approximately 60 trillion cells, all of which need oxygen. 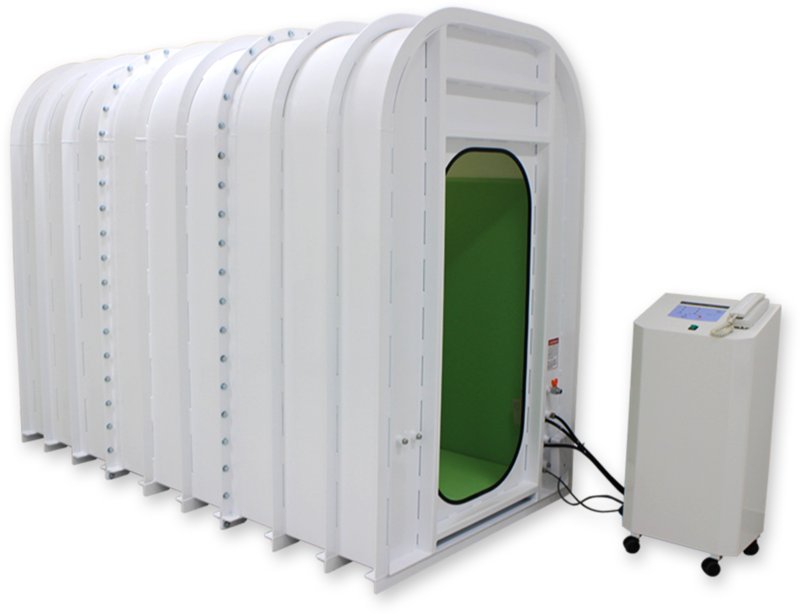 PresShower leverages the benefits of high pressure and high oxygen to rejuvenate, maintain and improve health and strength through use of the high pressure, high oxygen room. Inhalation of high (concentrated) oxygen supplies hemoglobin with a lot of oxygen (bound oxygen). 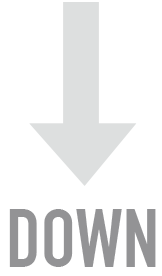 Meanwhile, the pressure is increased so that the oxygen in gas form in the blood (dissolved oxygen) decomposes directly. Combining the effects of high (concentration) oxygen and high pressure allows increase of both bound oxygen and dissolved oxygen, which can supply sufficient oxygen efficiently to every pore of the body to rejuvenate, maintain and improve health and strength. Bound Oxygen fuses to hemoglobin in red blood cells and is carried through the bloodstream. However, red blood cell size makes it difficult to travel through thin capillaries, limiting the locations to which oxygen can be carried. But Dissolved Oxygen decomposes directly in the blood and travels narrow capillaries easily, facilitating angiogenesis as it travels to every part of the body and solving oxygen insufficiency. Provides a variety of benefits by increased metabolism from the oxygen that reaches all corners of the body. There are 2 autonomic nerves: the sympathetic nerve that activates the body for daytime activity, and the parasympathetic nerve that relaxes the mind and body at night. 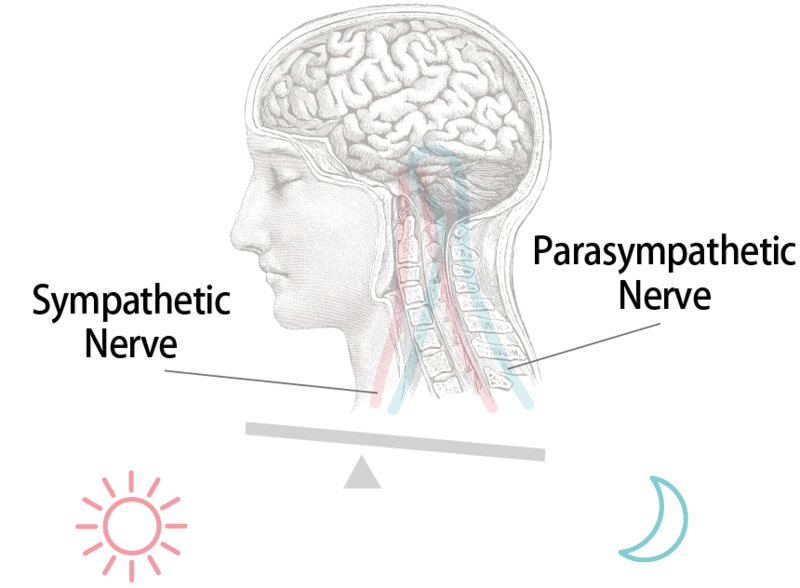 Factors such as stress upset the balance of the 2 autonomous nerves and if the sympathetic nerve in particular continues to be under excessive tension, stress increases further and causes worsening of chronic pain, decreased concentration and various instabilities occur that can lead to insomnia. A feeling of depression, dullness, headaches, joint pain, lower back pain and other chronic diseases, and makes it easier for pain from existing diseases to worsen. Good physical condition, body feels light, positive mental attitude, feelings of motivation, and a good overall condition. 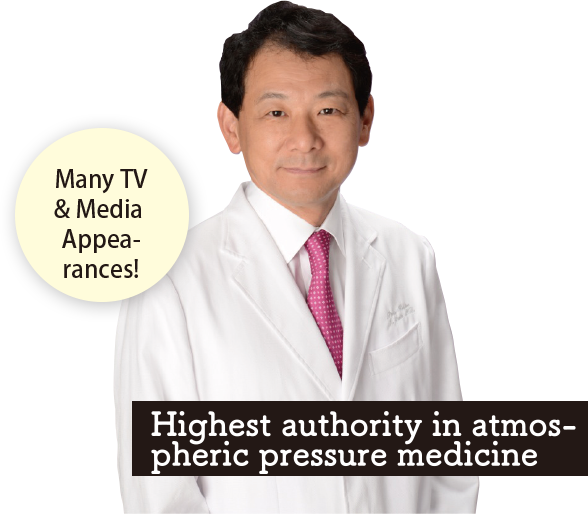 Atmospheric pressure is the natural autonomic nervous balancer. The inner ear senses atmospheric pressure to relax the body and mind. 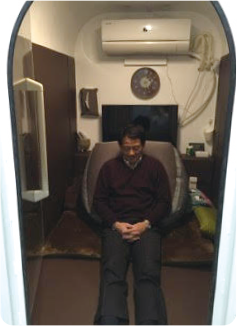 The Small High Pressure SATO Mode developed by Professor Sato is the standard pressure mode installed in PresShower. CEO, Pascal Universe Co., Ltd. Cure Weather Pain, and Headaches, Dizziness and Stress Will Be Gone! (Fusosha) (Japanese only), etc. PresShower is not just safe and secure but is easy to relax in because it's more spacious than a capsule-type. Just 30 minutes. 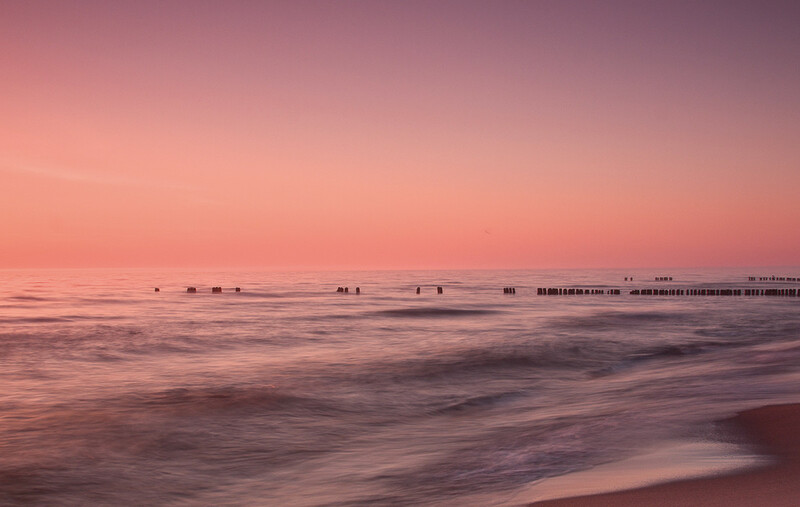 Simply take a break in this ultimately relaxing condition to rest the body and mind. Power is required for use. Avoid use if you are pregnant, have been drinking alcohol, use a pacemaker, cannot relieve your ear pressure, or suffer from claustrophobia; infants and children should avoid use. Patients with heart disease, brain disorders and otorhinolaryngological disorders should consult a physician before use. Product specification or content is subject to change without prior notice. Please keep this in mind. This product and equipment is not medical equipment regulated by the Pharmaceutical Affairs Law of Japan.